Even if you’ve loved your current role for many years, there are plenty of reasons to leave your job and explore something new. You may have discovered an opportunity in a niche that suits your interests. Another company may have offered you more money to work closer to home. Whatever the reason for your transition, it’s important not to burn any bridges when you decide to resign. In an industry like finance, you never know when your relationships with previous employers will open the door to new opportunities for your future. What’s more, in a world as socially-connected as the one we live in today, it’s a good idea to maintain positive relationships with all of your professional network. 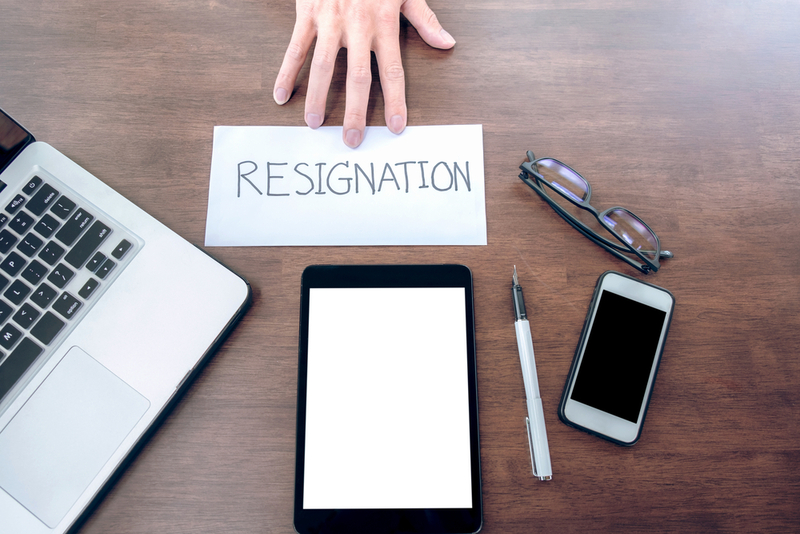 Here’s how you can resign gracefully and leave your role on the right terms. While it’s great to have strong relationships with your colleagues, they aren’t the people you need to speak with first when you’re resigning. Don’t make any announcements on social media either. Arrange a one-on-one meeting with your manager and let them know that you’ve decided to leave. Continue to use positive language in your resignation letter too, with phrases like: “With regret,” or “After careful consideration.” Show your employer that you value the opportunity they’ve given you. There’s never a good time for a great employee to leave. However, the way you plan your exit can make things easier for your employer. While you may only be required to give two weeks’ notice, provide more time if you can. This will allow a hiring manager more time to find a replacement for you. If your employer asks you to stay for a little longer, put a deadline on the amount of time you can give. You don’t want to upset your new employer either by making them wait. An excellent way to accelerate the transition is to offer training for the new employee. Let your manager know that you’d be happy to walk through the role with the new staff member, and even stay connected with them as a mentor for a couple of months if necessary. Stay focused: Don’t mentally check out because you know you’re heading somewhere new. Concentrate on being just as productive and helpful as you’ve always been. Show that you deserve your reputation as a responsible financial professional. Support your colleagues: Make sure your team has everything they need to continue projects in your absence. Offer instructions for any work you won’t be able to wrap up and complete any outstanding assignments you have time to handle. Do a little extra: If possible, ask your supervisor if there is anything besides the standard work that you can do to make their lives easier during this last two weeks. This makes you stand out and may affect what’s written on your reference letter. In the last weeks, make sure you do some last-minute networking too. Invite people to connect with you on LinkedIn, give out your phone number, and make sure that you stay connected with people who may support your professional network in the future. Finally, many employers use exit interviews to identify any problems that may be causing their employees to leave. The important thing to remember here is that while a little honesty is useful, you still need to be cautious about what you say.